Update, February 1: EA’s stock price has reached an all-time high. In the wake of the announcement that microtransactions would be returning to Star Wars Battlefront II, shares in EA hit an all-time high. The company announced the return of payment options to the game earlier this week. Trying to remember what went wrong? Here’s everything wrong with Battlefront 2’s original progression system. Yesterday, the company’s share price closed at a total of $126.96 per share, and increase of 7% in just one day. The shares had actually peaked at around $131 before settling back down. The rise is likely not just a result of the return of microtransactions. In an earnings call earlier this week, the company revealed that they were forecasting a total revenue of $5.1 billion for this financial year, which will include two FIFA games (thanks to this year’s World Cup) and a new Battlefield game in October. The company also said that they think they’ll be able to apply microtransactions to more of their games in the future. Update, January 31:Star Wars: Battlefront 2 actually sold 7 million copies, not the 9 million it initially reported. Following yesterday’s report, EA has releasedthe transcriptfrom its earnings call and it’s been discovered the Wall Stree Journal misreported the sale numbers for Star Wars: Battlefront 2. Rather than selling 9 million copies, EA in fact sold 7 million copies. However, the projected number of sales was also wrong, and was meant to be 8 million rather than the originally reported 10 million. “For Q3, we had expected to sell in about 8 million units, but we fell short of that by less than 1 million units,” reads the quote from EA’s Blake Jorgensen. Original story, January 30, 2018:In-game monetization will soon be returning to Star Wars Battlefront II, according to a report from theWall Street Journal. 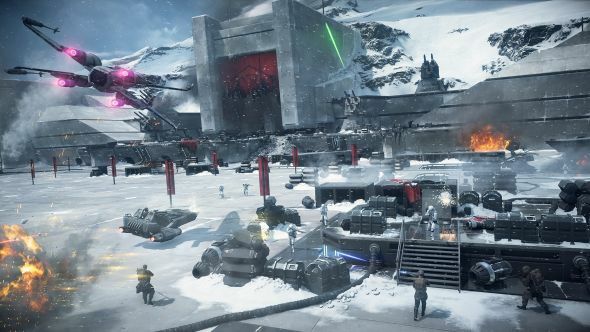 The report doesn’t specifically mention loot boxes, but says that purchases will be restored to the game “in the next few months,” based on a quote from EA’s Blake Jorgensen. Some form of monetization was always expected to return, but the timing has been unknown up until this point. We don’t know if the purchases will take the form of the original loot boxes or something else entirely. EA also confirmed today that Battlefront II fell somewhat short of already-conservative sales projections, selling roughly 9 million units in the holiday quarter as opposed to their projected 10 million. Jorgensen says they attribute the diminished sales to the loot box controversy, but they expect to sell 1 to 3 million by the end of the fiscal year – which would still fall short of the previous game’s sales. We’ve reached out to EA for comment.